The 42-year-old MLA, who won the state election from Amreli Assembly seat in 2017, 2012 and 2002, expressed confidence that he will win this time. 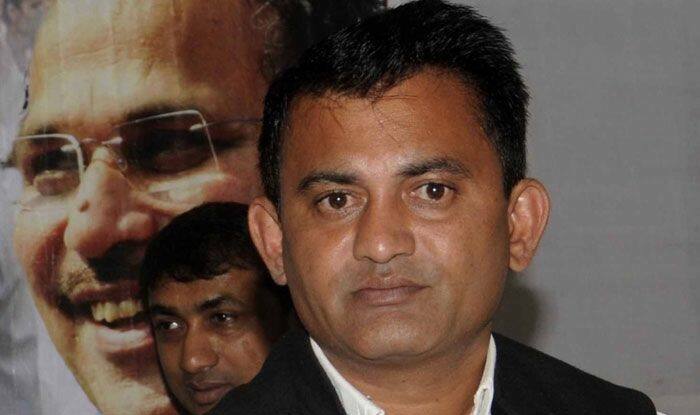 Leader of Opposition in the Gujarat Assembly Paresh Dhanani on Wednesday filed his nomination to contest the upcoming Lok Sabha poll from Amreli constituency on the Congress’ ticket. Dhanani, who is pitted against sitting BJP MP Naran Kachhadia, submitted his nomination papers to Amreli district magistrate and returning officer Aayush Oak. The 42-year-old MLA won the state election from Amreli Assembly seat in 2017, 2012 and 2002. After filing his nomination, Dhanani expressed confidence of winning the Lok Sabha seat this time. “I thank the party leadership for selecting me from the Amreli Lok Sabha seat. The country is facing many problems and the solution is to change the regime,” he said. A Congress source said the state party leadership wants senior leaders like Ahmed Patel, Shaktisinh Gohil and state president Amit Chavda to also contest the elections to give a tough fight to the BJP in Gujarat. Kachhadia, a two-term BJP MP who won the Amreli seat in 2014 by a margin of over 1.5 lakh votes, filed his nomination earlier this week and expressed confidence of winning the election. The BJP won all the 26 Lok Sabha seats in Gujarat in 2014. This time, polling will be held in all the seats on April 23 and the results will be declared on May 23.